The move in experience to The Henley was so quick and easy. They immediately found what we were looking for and we were able to move in within a month. So far everyone has been super nice! My kids and I love seeing the pets walked all throughout the complex. We love that The Henley already feels like home. The apartments are bright and spacious. The staff in the office and the maintenance staff are incredibly kind and helpful. I love that the apartments are so close to downtown but feel so secluded. Hannah, we are so glad maintenance has taken such great care of you! We appreciate your kind words more than you know. We have to agree that our location is amazing!!! Thank you so much for taking the time to share your experience and for choosing The Henley as your home! Scott, we love having you here and we are THRILLED you are enjoying The Henley!!! We can't thank you enough for recommending us to your friends :) As a reminder, if anyone you have referred leases with us, you will get a referral bonus of $300!!! Overall, I have enjoyed living here. The community is relatively quiet, which is a plus. The maintenance workers are friendly and efficient. The office staff are nice. I like the layout of the apartments as well. However, I do think that the apartments are overpriced as the renovations that were made were not particularly well done. Emily, Thank you so much for taking the time to share your experience. We are so happy you are pleased with the way maintenance took care of any concerns you had and that you enjoy the floor plan of your home. We always aim for our residents to feel that the value of our apartment homes match the rental price, so we would love to speak with you regarding any recommendations you may have. Great location - located 10 minutes from downtown Knoxville, TN. It has an on-site fitness center with 2 pools. The one above has a great view of the city, while the lower pool is close enough for the the people living in townhomes to walk to. Maintenance staff goes above and beyond by being quick to respond to any requests. Jessica, thank you so much for taking the time to share your experience and for your kind words about The Henley maintenance team! We appreciate so much when their efforts are noticed. We are so excited for warmer weather for our residents to be able to enjoy the pools, but the overlook deck to enjoy that great view is open year round! Thanks again! 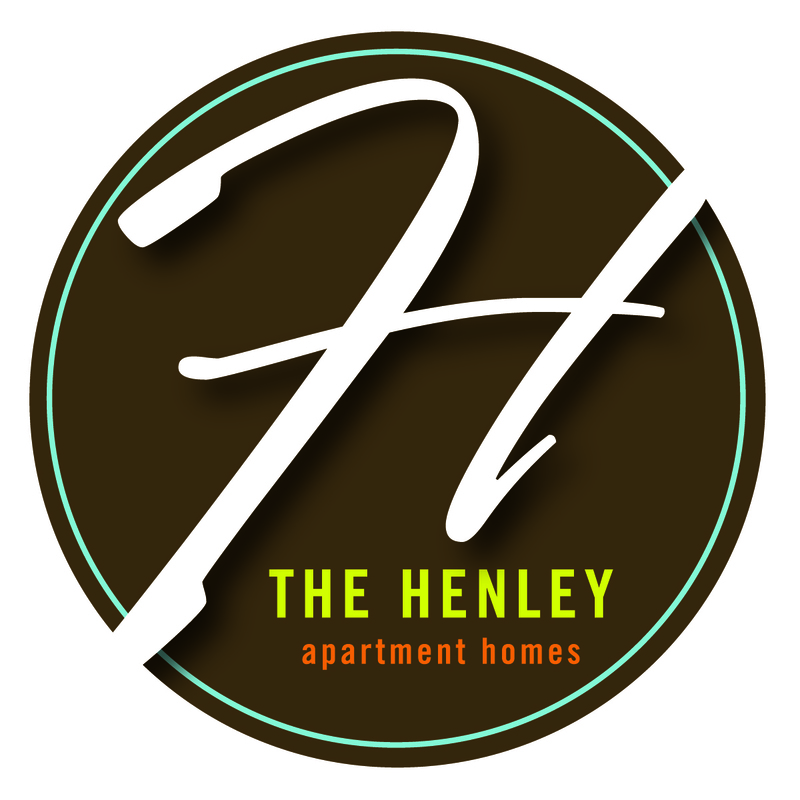 We have really enjoyed living at the Henley! Easy access to campus and downtown. The complex is very pet friendly, and we have awesome neighbors. Paris, thank you, thank you, thank you! The value of good neighbors can't be overstated! We are so glad you are enjoying yours at The Henley and that you are enjoying out location. We hear from people that have lived in other parts of Knoxville that they are able to get to downtown, UT campus, and the interstate so much quicker here. Not a bad experience in the least. Our neighbors seem pretty alright. No one has become grumpy that my bird gets a little mouthy when it's breakfast and I haven't woken up. Still pleased with living here. Matthew, we can't thank you enough for taking the time to review The Henley throughout your time here and we are thrilled you are still enjoying your experience. Kent-Ta, we are soooo happy you are enjoying your apartment. We love helping our residents find their first apartment home. Thank you so much for taking the time to share your experience so far, and please let us know if you have any questions or need anything at all. This is a lovely, quiet, and calm community. The views are spectacular. It's really nice bring so close to downtown, yet feeling like you're nestled in a secluded forest. Every resident I've encountered here is very friendly and welcoming. The apartment itself is amazing too. The 2 bedroom is very spacious with so much closet space. And the pricing for such a great amount of square footage right outside of downtown is unbeatable. I love our apartment and plan to call it home for many years to come. Kimberlee, we are thrilled to hear you are planning on staying with us!!! We can't thank you enough for sharing your experience and for highlighting everything you have enjoyed during your time at The Henley. We love to hear about residents meeting their neighbors and truly taking advantage of everything our community and location has to offer. Overall a nice apartment complex with good amenities. The complex needs to better enforce people picking up after their pets though. Refilling the pet waste stations with bags more often would help with this. Thank you so much for your review and your recommendations. I hope you have noticed our efforts enforcing pet care compliance. We too saw a need beyond reminding our residents of the community rules and have recently starting giving tickets with fines. We work to make sure pet stations are always stocked, but please let us know if you see a station that needs attention. I have had a great experience here at the Henley. Very nice apartments and amenities. Also the community is very peaceful and relaxing. I have never been worried that someone would break in and steal my things, which is something that cannot be said at my last place in the fort. Mark, thank you so much for taking the time to share your experience. We are thrilled that you are loving your home and feel comfortable. Please remember, we do have a courtesy officer on call if you do ever see anything that you feel we should observe. Friendly, helpful staff, cozy, quiet place to live. Also driving distance is close enough to everything you need and anything else you could want to do. Denny, Thank you, Thank you, Thank you... for your review and sweet sentiments about our team and community. We would have to agree that our accessibility to downtown, the interstate, and the bike trails can't be beat! Peter, thank you so much for your review. We can't tell you how much we enjoy and appreciate having you as a resident. We understand that low flow fixtures can be an adjustment. Our goal in the installation of the fixtures is to offer savings in the cost of water to our residents as well as contribute to water conservation efforts on a community wide scale. We are happy to take a look at your fixtures for you, or look at other locations on property at renewal if you would like. The Henley is a great place to live. My neighbors are respectful and generally quiet. Any issues with the apartment are quickly addressed and I always feel heard when I speak with the management. Courtney, Thank you so much for your review! Quiet and respectful neighbors are the best! We feel rewarded when we have the opportunity to resolve any issues our residents bring to us, and we are so happy this is felt. Please continue to let us know if you need anything at all and thank you again! The management and maintenance have been awesome! We love living here and being close to campus is a plus. There is also enough room for our dog and she loves seeing other dogs around! Paris, Thank you so much for taking the time to share what you love about The Henley and for being so kind to our team! We think we have the best residents and pets! We hope you are enjoying the dog park, and stop by the office anytime for a treat while you are out walking your dog. The location is amazing! very close to the downtown yet peaceful.. I personally love the view from my balcony. Staff and maintenance are very friendly and responsive. Highly recommended. Rishabh, We are so glad you chose The Henley as your new home and that you are enjoying the peacefulness that your balcony offers! We are thrilled maintenance has been able to take care of anything that needs attention in your apartment home and we hope you will let us know if there is anything else we can do for you! An excellent place to live where the staff make you feel like family. They are always willing to help you out with anything you could think of at a moments notice and always keeping you up to date. Justin, you are the best! We really enjoy having you here and can't thank you enough for your kind words about The Henley and our team. We hope you are still enjoying your new home. We are so thrilled ya'll are loving your apartment and we are always so humbled when our residents have such kind things to say about our team. We hope you have seen an improvement with our efforts to improve parking for our residents! We appreciate the time you took to share your experience! I'm still absolutely enjoying my experience at The Henley. Parking is a pain in the F block but it's not like you weren't aware of that and given the topography of the complex, it's a challenging problem to address. I know you're working on it. The new streetlights are a little bright but I could also be proactive and grab some curtains. Also it's better than total darkness. No complaints. Matthew, thank you so much for taking the time to share your experience at The Henley and for your understanding regarding the parking challenge we are facing at F block. I hope you have seen an improvement in the efforts we have made with the parking and please don't hesitate to let us know if you have any suggestions on further improvement in this area. We hope to add more parking spaces in the spring when we repave since we currently have wider spaces than needed. Nice apartment community, pretty quiet, conveniently located near downtown, UT, Old City, city bus lines, pet friendly, helpful and attentive staff. Chad, thank you so much for sharing the highlights you have experienced at The Henley! We really enjoy having you here and are so thankful for the kind things you have expressed about our staff. Let us know if there is anything at all you need! My roommate and I have loved living at the henley! Our dogs have a lot of space to play and love going to the dog park, and everyone loves coming over to our place! Abbey, we are so glad your dogs are enjoying the dog park! We love seeing The Henley pets enjoying our grounds and the pet park. We are also super excited to see you and your roommate are enjoying your home and we can't tell you how much we appreciate you taking the time to share your experience! I love living at the Henley. Everybody is so nice and the view is phenomenal. Really I could not have chosen a better apartment complex to live in. We are so glad you are enjoying The Henley so much! Nothing makes us happier than residents that enjoy their living experience. Please don't hesitate to let us know if you need anything at all, and we can't thank you enough for taking the time to review our community!